(Assistant Professor of Ethnobotany at the Faculty of Science, Mohammed V University, Rabat, Morocco / WHO Herbal Medicines consultant). Professor Souad Skalli is a PhD in Toxicology and Biology Sciences (specialty: Herbal Medicines and Plants Toxicity) since 2004. Senior scientist and researcher in the Centre Anti Poison et de Pharmacovigilance du Maroc (CAPM) since 1996 and Head of the Unit of Pharmacovigilance of Herbal Medicines of CAPM from 2000 to 2016. Professor Souad Skalli participated and conducted, since 2002, many WHO workshops in relation with the pharmacovigilance of Herbal Medicines (HM) and she is co-author of many WHO guidelines for the safety monitoring of herbal products and phytovigilance of herb-drug interactions. She has contributed actively to set up and run pharmacovigilance of HM activities in many countries (Morocco, Senegal, Cambodia, United Arab Emirates and Oman). Since 2013, Professor Souad Skalli has been invited to the UMC International Pharmacovigilance Training Course as a guest speaker in HM. She was invited as a lecturer for many premeeting courses during the annual International Society of Pharmacovigilance (ISoP) meetings. She has also given many lectures and courses to health professionals, primarily physicians and pharmacists, on HM topics: Phytotherapy, Ethnobotany, HM adverse reactions, Phytovigilance, Herb-drug interactions, HM legislation and regulatory status, Pharmacognosy and Ethnopharmacology. 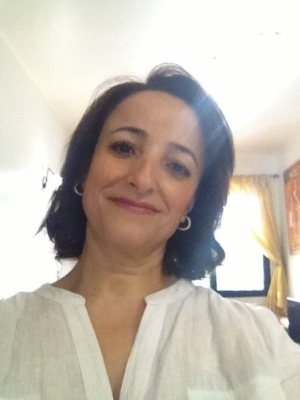 Professor Souad Skalli has conducted many studies and surveys and she is the author of several publications investigating HM and herb-drug interactions. A Professora Souad Skalli falará da sua experiência enquanto investigadora no Centro de Informação Anti-Venenos e Farmacovigilância de Marrocos, de que foi chefe da Unidade de Farmacovigilância de Medicamentos à Base de Plantas entre 2000 e 2016. Também abordará o seu trabalho como consultora da OMS na área da farmacovigilância de medicamentos à base de plantas, nomeadamente das várias guidelines em cuja elaboração colaborou. Na conferência serão levantadas questões relativas a reações adversas, interações com outros medicamentos, legislação e aspetos regulamentares dos medicamentos à base de plantas (e outros produtos fitoterápicos).